Edwin Jack was a partner in the Edinburgh publisher T.C. & E.C. Jack which was acquired by Thomas Nelson & Sons in 1915 and kept as an imprint of that publisher. 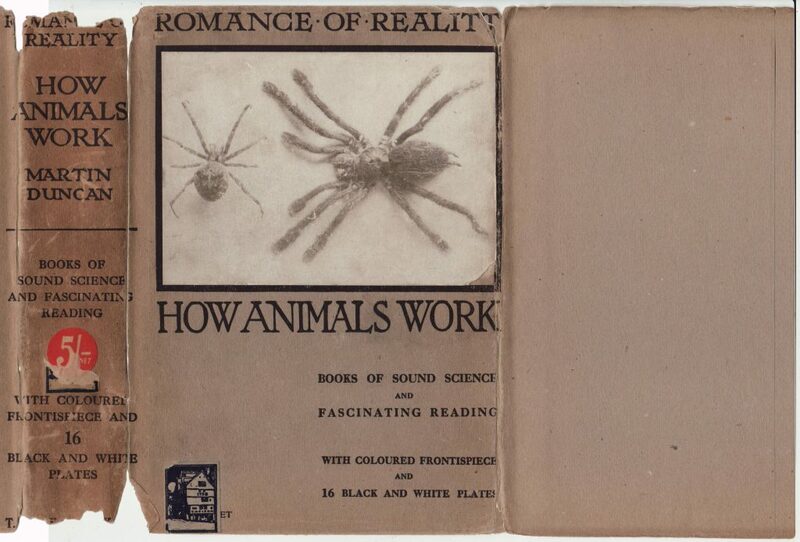 The Romance of Reality series was initiated in 1915 and reprints can be found through the late 1920s. Frederick A. Stokes Co. of New York imprints are found on at least the first five titles in the series. 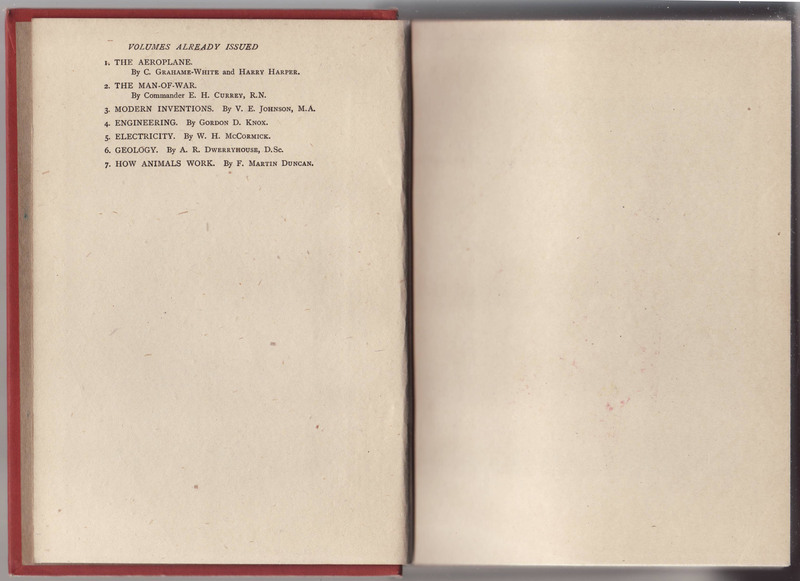 Later titles seem to have been sold in the U.S. by Nelson (the UK pricing was covered on the jackets – see below). 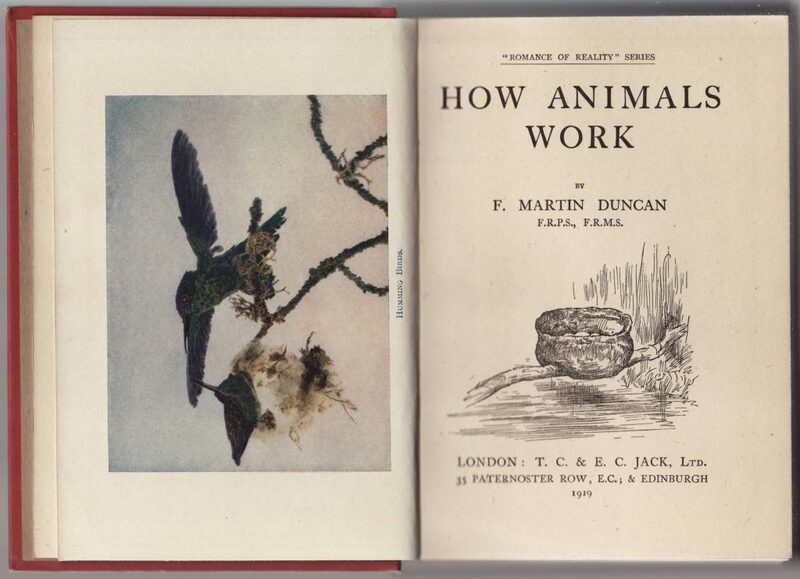 This copy of F. Martin Duncan’s How Animals Work is dated 1917, the seventh title in the series. 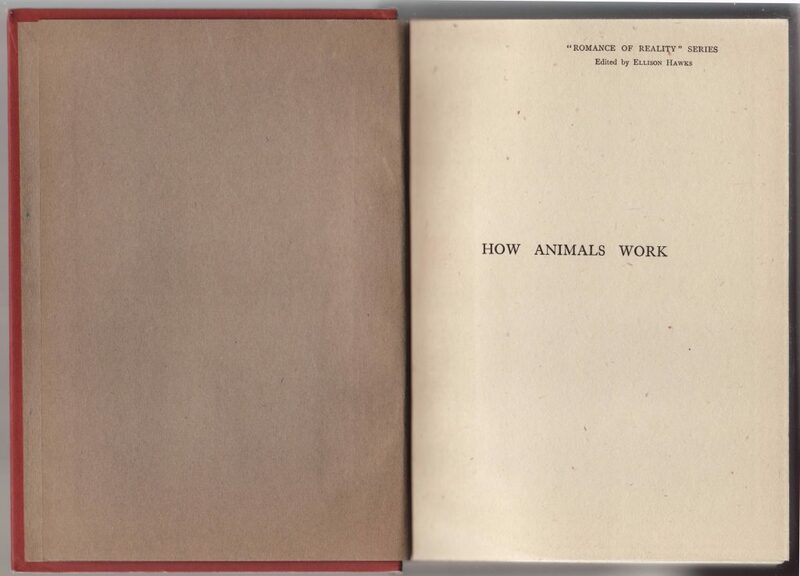 It seems to be an original title first published in the series. Jackets are unique to each title in the series, with the series name at the top of the spine and jacket front. 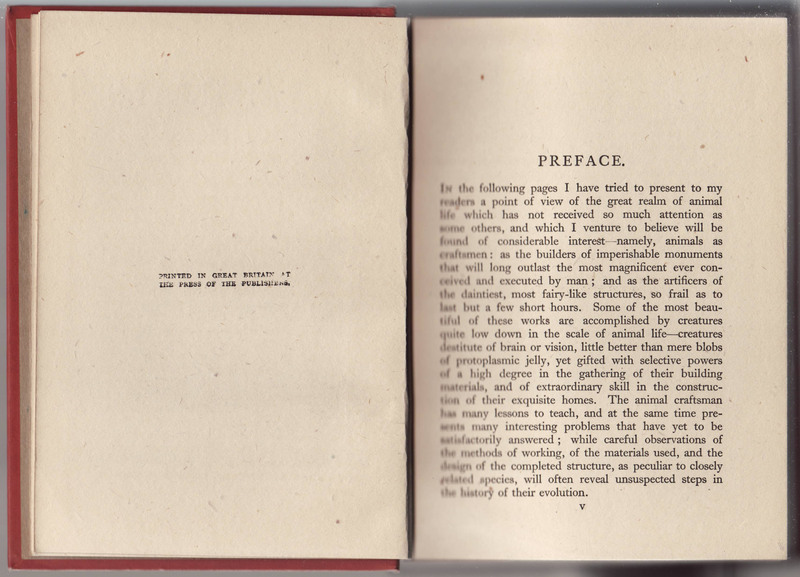 The series is advertised as “Books of Sound Science and Fascinating Reading” and the colored and monochrome plates are noted – both on the jacket spine and front. A glued-on image of some nasty looking spiders is featured on the front of the jacket. The price (5/-) was covered by Nelson & Son’s stickers as this copy seems to have been sold in the U.S. The sticker on the spine has been partially removed revealing the price (in red). The front jacket flap is blank. The Through the Eye Series is advertised on the rear of the jacket. The rear jacket flap is blank. The red cloth binding mimics parts of the jacket. 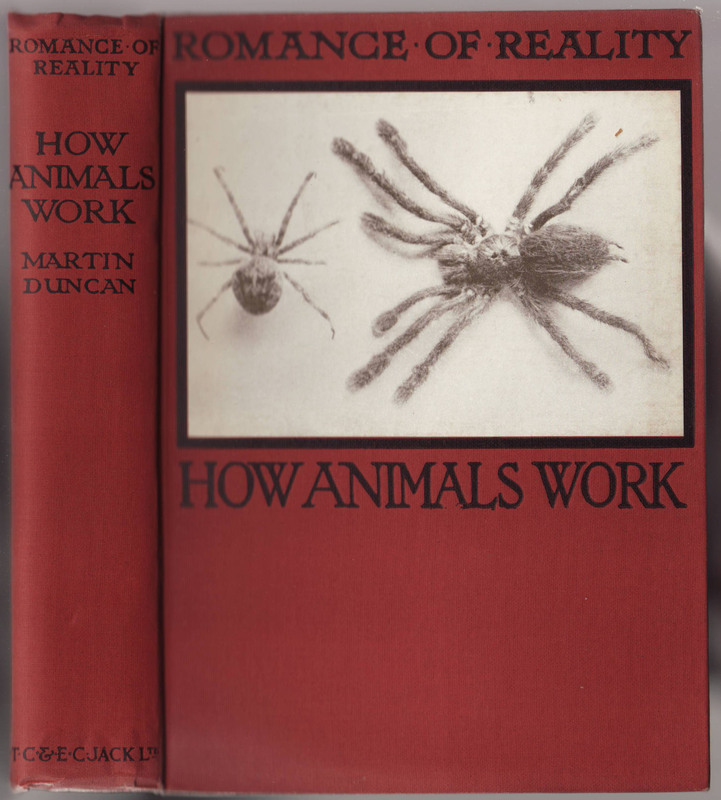 The same spider image from the front of the jacket is glued to the front of the book. The half-title page includes the series name and editor (Ellison Hawkes). 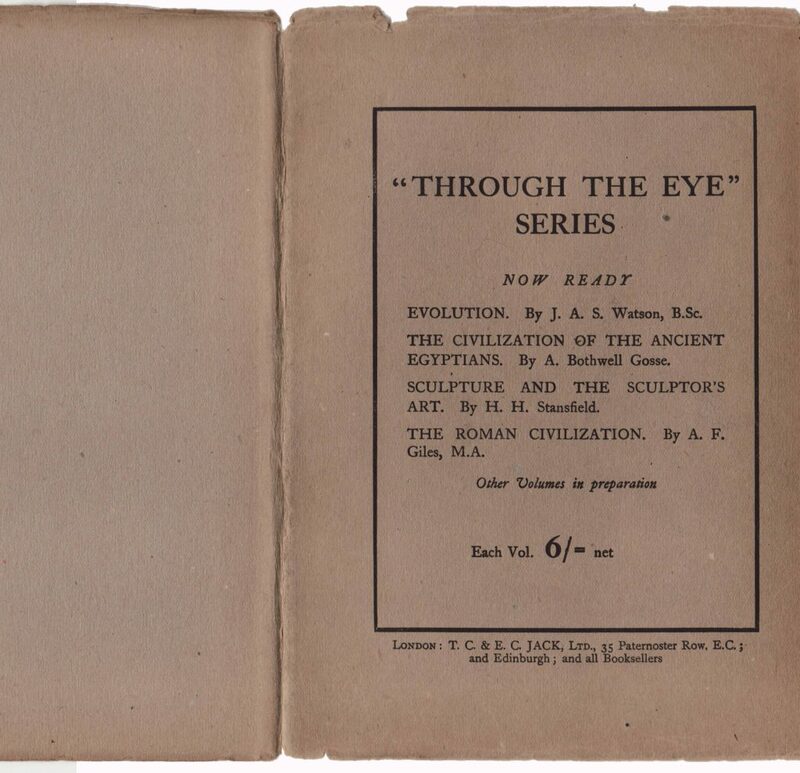 The first seven titles in the series, with serial numbers, are listed on the back of the half-title page. One color plate faces the illustrated title page. Additional monochrome plates are included in the book. The series name is indicated on the title page, as is the date. 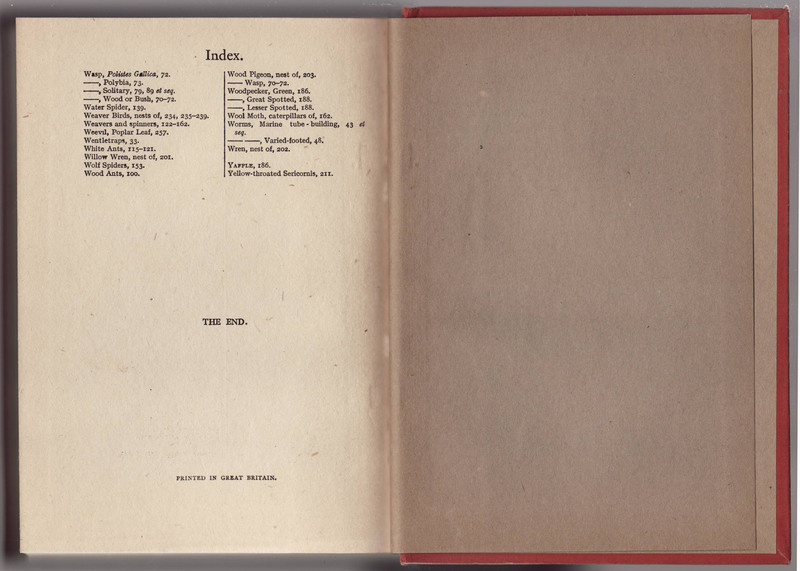 The last page of the book also includes the Great Britain printing information.